well as get them unstuck Overcome feelings of confusion, anxiety, and being overwhelmed Feel fine about what you're not doing From core principles to proven tricks, Getting Things Donecan transform the way you work, showing you how to pick up the pace without wearing yourself down. 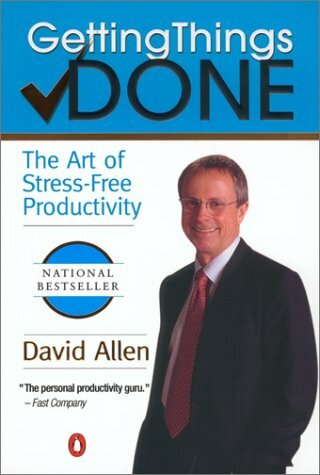 Author and productivity consultant David Allen was born on December 28, 1945. He attended New College in Sarasota, Florida. He is the founder and chairman of the David Allen Company, which is a management consulting, coaching, and training company. He wrote three books: Getting Things Done: The Art of Stress-Free Productivity; Ready for Anything: 52 Productivity Principles for Work and Life; and Making It All Work: Winning at the Game of Work and the Business of Life.